Production at Poissy, pictured, will be suspended for two days in September and October. PARIS -- PSA Group blamed the UK's referendum vote to leave the European Union for a decision to suspend production for two days at its Poissy plant near Paris. Managers at Poissy, which assembles the Peugeot 208, Citroen C3 and DS3 cars, told workers the September and October stoppages were a response to the Brexit vote, a company spokesman said on Thursday. The production cut was decided "just in case" the referendum significantly affected PSA's sales, among other factors, the spokesman added. "We don't have any visibility yet." 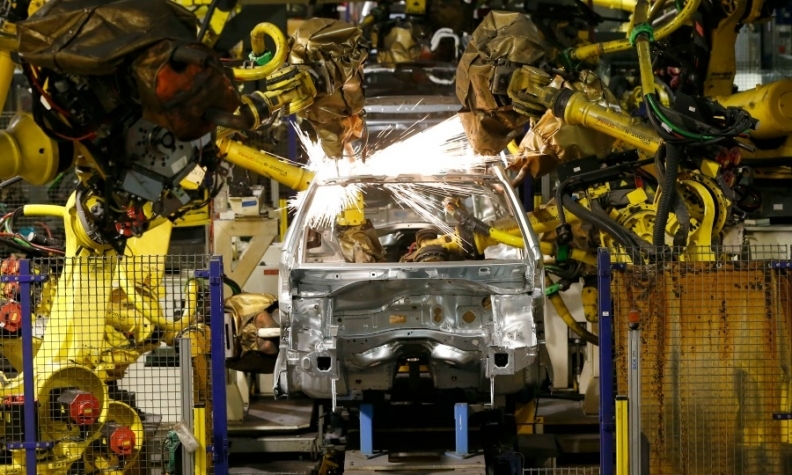 PSA and other automakers have said it is too early to assess the consequences of the June 23 vote - while nonetheless warning that a sustained decline in the value of sterling may force them to raise UK prices. The Force Ouvriere union said the Poissy stoppages were a concern for workers, who stand to lose some pay in both months. But the union also voiced skepticism over the Brexit explanation. "We're rather surprised that the referendum result could have such rapid consequences," spokesman Brahim Ait-Athmane said in a statement. "We hope this is an excess of prudence that will need to be made up for with increased production at year end."